I am well aware that very few of the people who read this article will have heard this album, and even fewer will like it. It is infamously one of, if not the, most difficult album ever released by a major artist, but before I tell you how good it is, a bit of context. Scott became increasing arty and obscure, crafting intricate, gloomy operettas and covering songs by sweaty Belgian cabaret singer Jacques Brel. In particular he performed an incredibly morose ballad entitled My Death on his Saturday tea-time TV show. It is often said that George Michael was the first pop star to eschew commercial success for artistic credibility; nah, Scott Walker got there first. His solo albums continued to top the hit parade, due to the sky-scraping beauty of his own compositions, his impossible good-looks and bravado, and the manner, similar to The Smiths and early Suede, in which the listener could live in his songs. He was a star on his own terms. Then, something strange happened. After the top three success of Scott 1, Scott 2, and Scott 3, Scott 4, his most accomplished album to that point and one which would take the number 31 spot on this list, was released in the midst of the hippy revolution in 1969. And it bombed. Not as in, it failed to crack the top ten; it failed to chart at all. Nobody quite knows why this happened, and the album was deleted soon after. Walker was deeply scarred by the snub, and after releasing a couple of lacklustre albums comprised mainly of MOR cover versions, he disappeared for a few years and descended into drink. A comeback with the Walker Brothers came in 1975, by way of the hugely popular break-up song No Regrets, and with one album left on the deal, Nite Flights was released in 1978, a twelve-track album on which each member composed four songs. The compositions of Gary and John were perfectly serviceable, but Scott’s tracks were so far ahead it was almost embarrassing. The Shutout, Fat Mama Kick and Nite Flights were pounding, visionary pieces, reminisecent of Station To Station-era Bowie and later Joy Division, but his final track on the album, The Electrician, was astonishing; cold, suspenseful and spiralling; as if they’d put a torch song on the Eraserhead soundtrack. It was almost note for note ripped off by Ultravox for Vienna, and the aforementioned David Bowie calls it the best song ever written. This was the direction he would pursue on his next album, Climate Of Hunter (1984), and in the age of Bon Jovi and Dire Straits, this brittle and fascinating album would shift less than a thousand copies and is said to be Virgin’s worst-selling record ever. Eleven year’s worth of silence, to be precise. Tilt would be released in 1995, apparently having taken six years to record. It sounds like the work of a man who had not spoken to another human being in a decade. From the cover art to the bizarre lyrics, it is the most starkly self-possessed record ever made. When I was about nineteen, I bought this album, with the view to completing my Scott catalogue. I’d snapped up the first four, and everything else was unavailable on CD. Nothing could have prepared me for the stylistic chasm between Scott 4 and Tilt. The first track, Farmer In The City, is something that has no parallel in this far reaching medium of popular music. There is a road about six miles away from where I live, which acts as a bypass between the local villages of Dunswell and Beverley. There are no streetlights down this road, no houses for miles and if you travel down there after dark, only the headlamps of traffic will cast any sort of illumination. About halfway down, on the left, is a derelict barn about five hundred yards from the road, which will be lit fleetingly when a lone car drives past. In my imagination, Farmer In The City was recorded there. Anyhow, that’s the first track. Six and a half minutes long, and offering a wider scope than most artists manage in entire careers. The second track, The Cockfighter, begins with a bizarre, near-silent montage of wails, distant gusts of wind and odd scratching noises that you have to strain to hear until a terrifying moment after about a minute and a half when an industrial cacophony slams through the speakers at full volume as Walker howls “It’s a beautiful night, yeah.” After a while the track settles into a Joy Division-esque pounding rhythm and multi-layered voices intone lyrics that again, make absolutely no sense. It also features an instrumental break that sounds like someone beating a cow to death with a guitar. In Bouncer See Bouncer, we start with the sound (honestly) of scuttling and chirping locusts, which is laid over a relentless thump of a bass drum, whilst the mantra “Spared, I’ve been spared” is repeated, along with other deeply esoteric lines. It is staggeringly bleak, bringing to mind scenes of men in death camps marching to their end. After four minutes of this nightmare, the black clouds break and a ray of the most exquisite sunshine shines through in the form of harp and pipe organ as he sings beautifully of how much he loves this season, before the death march starts again. Elsewhere, Manhattan features an enormous, slashing chorus of organ and ravaged guitar, along with lyrics such as “Scalper in the lampglow/scalper on a chair/stick wiped shirt?/and his arm somewhere” No, I don’t know either. Rosary is a simple piece for voice and reverbed electric guitar, and was performed live on Jools Holland in 1995 on condition that he would only take the stage after the studio audience had all left. The title track is arguably the most accessible track on the album, and the only piece here that could be played by a conventional rock band, even though it does feature guitars that seem simple yet are somehow disorientating, in the same way that you can inexplicably lose your balance in a hall of mirrors. The two tracks at the heart of the record, Bolivia ’95 and Patriot (A Single) are vast, deeply layered compositions, cinematic in their scope, both featuring operatic structure and amazingly intense vocals. It is a testament to how far this man retreated into himself that a line as seemingly innocuous as “I brought nylons from New York/Some had butterflies, some had flecks.” can sound as like an incantation of death for the whole world. The chorus line to Bolivia ’95 is “Lemon bloody cola.” and he sings it has if he’s just heard that his mother has died. It is dense to the point of being impenetrable. Tilt is the bravest record ever made by a major artist. It is far beyond the realms of pop music, and far beyond the realms of rock. It is heavier than anything by Nine Inch Nails or Einstürzende Neubauten and it’s more intricate in its make-up than the works of the electric Miles Davis or even Rite Of Spring-era Igor Stravinsky. The only album in mainstream rock’s cannon it would compare to would be Bowie’s Low, but only then in terms of the soundscaping and introspection. It is not a record for the MP3 generation, as it is to be consumed as a whole, and the artwork and the format of the lyric sheet are very much part of the package. It is not a record to be enjoyed, rather it is to be appreciated, and I’m well aware that the majority of people who will check it out on the strength of this review will absolutely loathe it. It is a record completely without precedent, it has influenced precisely no-one and will never appear on Top 100 Albums Ever lists. It is, however, a staggering artistic achievement, and it will haunt you for a long time after you hear it, much in the same way that you can’t shake the image of Brad Pitt’s face in the last scene of Seven. If you are interested in any way in what can be achieved in the medium of recorded sound, how one man can interpret the sounds in the darkest corridors of his mind in the most extreme way possible, then you should listen to Tilt. It is a terrifying, punishing, but deeply rewarding experience, and in my opinion there has only been one album ever made that is better than this one. The lyrics don’t make any sense. Best Moment: The afore mentioned passage from 4:42 in Farmer In The City. 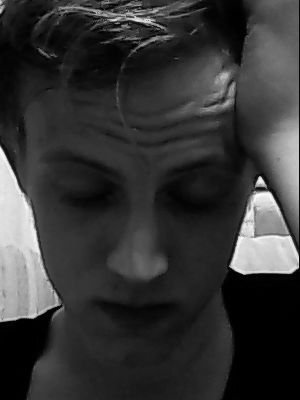 Listen to it on headphones, loud, in the dark, with your eyes shut. Your body will start to vibrate. 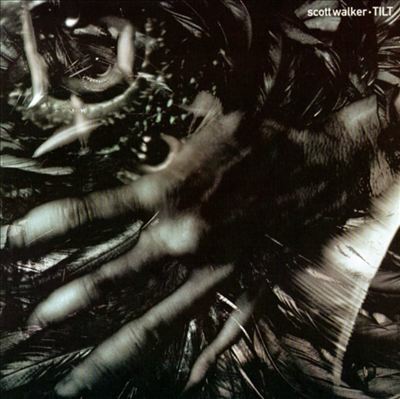 This entry was posted in Al's Top 30 Albums, Music and tagged Al's Top 30 Albums, Scott Walker, Tilt. 52,259 people have sat on the swings.